Even though exams are just around the corner for students of Delhi University, most of us simply can’t resist the pull of social media, that new TV series you just started or, well, Game of Thrones. Some have attempted to start preparing; the smart ones have resisted all the temptations to procrastinate and are revising their notes, while the remaining ones are still hoping to make some sense out of all those notes they scribbled throughout the semester. With only a few more days left, the first step must be clearing out as many things which stand in the way of you and studying with focus. Yes, that includes less use of social media and not finishing just one more episode again. Remember, it’s just about a few more days of hard work before weeks of freedom. Having all your notes, books and other study material right where you can always spot them in the room will be a stark reminder of tasks at hand. If you aren’t already past this stage yet, do it as soon as you can. Make sure you’ve fixed up sufficient hours to study during the day with your piling notes as reminders of all that needs to be done. It triggers a small amount of stress which is optimal for narrowing down focus. As clichéd as this tip is, chunking your syllabus into smaller bits to be done over a period of time can really help in keeping track of all that’s left to be done. After that, focus on finishing your first separated chunk of the course. Once the plan is in action, you will automatically move towards finishing what’s left of it. What’s the point of it all? Whenever you take a break, try to visualize the end goal of it all. You’re smart enough that you’ve made it here so far. If you manage to study really hard and somehow score well, it could actually impact your future in a good way. Think about it, if you manage to pass this, you can actually grow independently and be satisfied internally as well. All of that for the cost of just a few days worth of hard work, so get to it! This is extremely important as you gain a basic idea of how your paper might really be. Practice past exam questions papers, sample papers and revise answers for all of them thoroughly. Do remember, practice and thorough focus is the key to all of this. Just going through a few questions and their answers from past papers can trigger the need to finish a certain chunk of course, reeling that focus in. 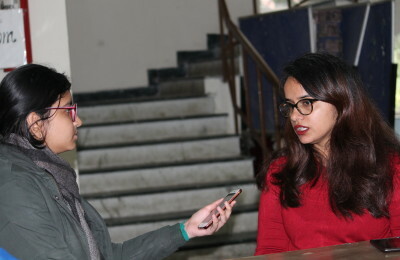 shainaah@dubeat.com ; A keen learner, foodie and a bibliophile, she's presently pursuing Journalism honours and is a part of the Placement Cell Union of Lady Shri Ram College for Woman. Deeply inclined towards Performing arts and community service, she hopes to give back the most to these fields. Typically ambitious, she hopes to travel around the world with a journal and a soulful playlist someday.